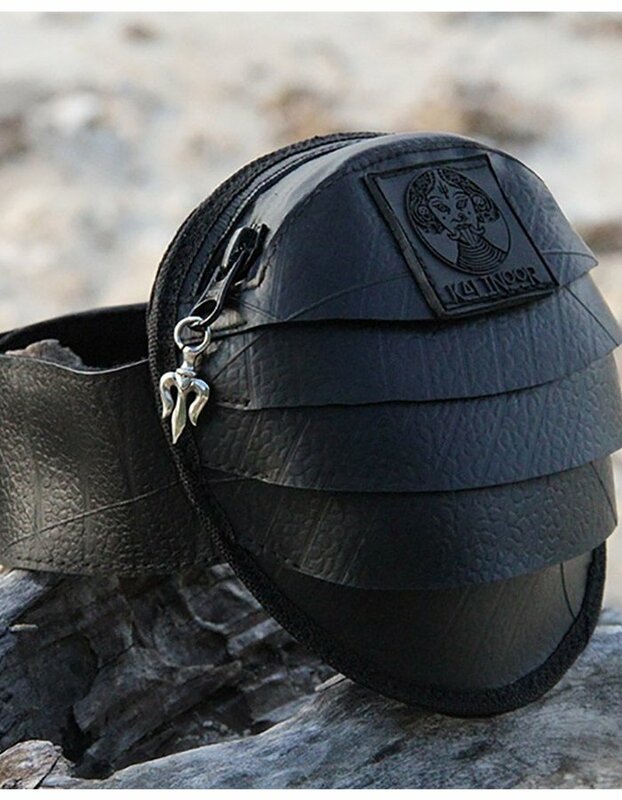 This pouch is made of 100% Recycled Rubber on the outside, and a sturdy denim on the inside. 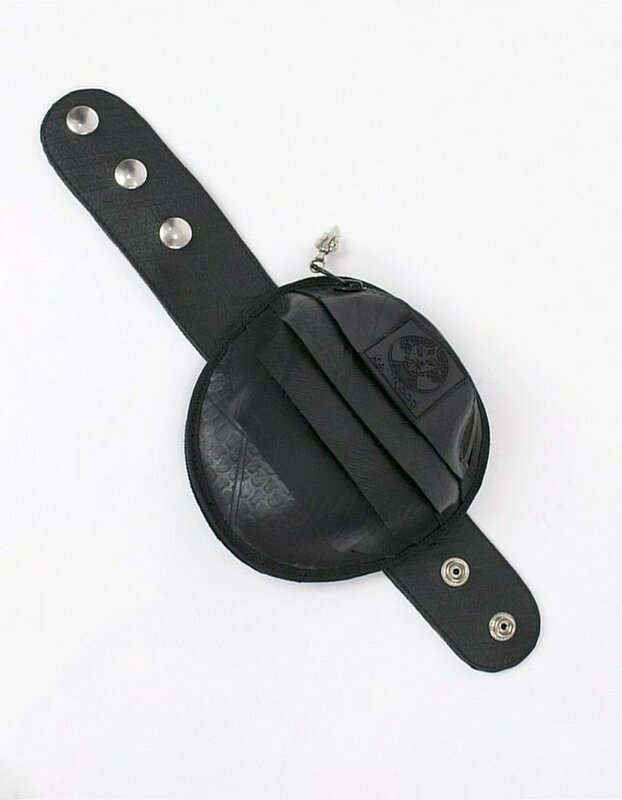 The zipper is waterproof and decorated with a little thrishel of white brass. The pouch has a very little hidden secret pocket for your private items not to be found. 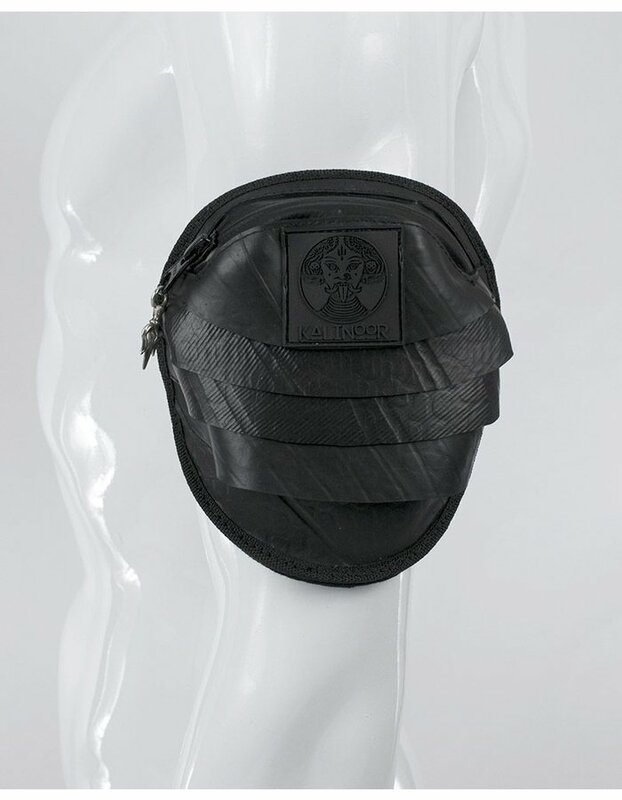 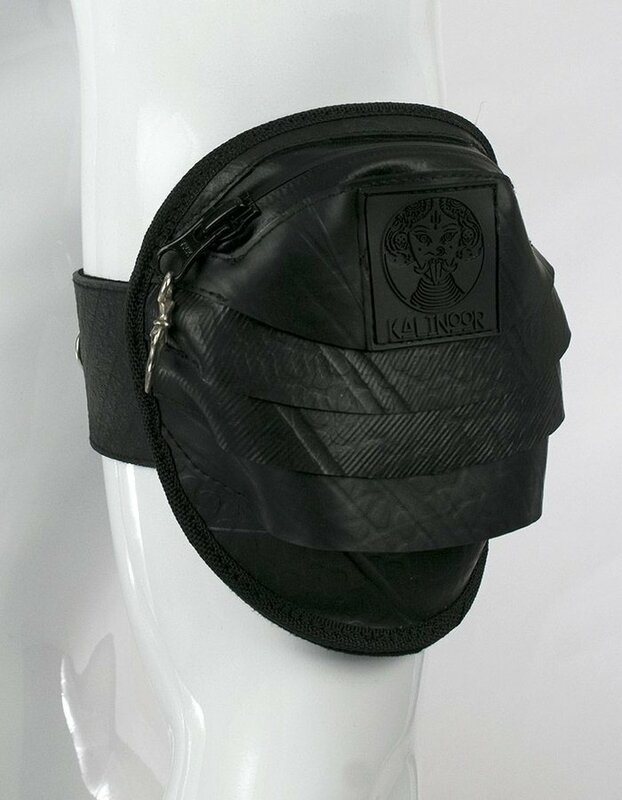 It comes with 2 different straps, so can either be used around your arm or your leg! The armstrap is adjustable from 26 to 31cm. 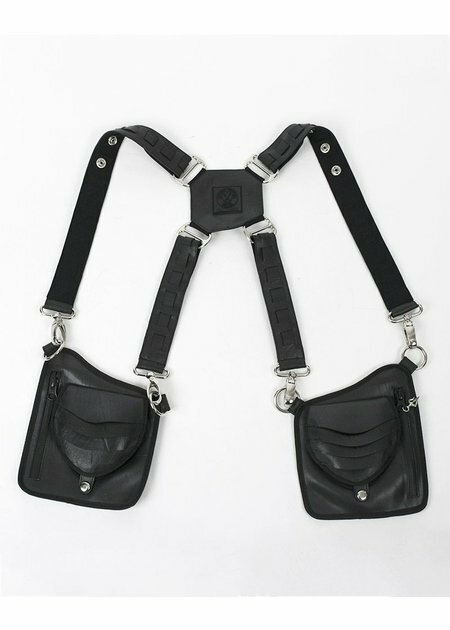 The legstrap is adjustable from 29 to 41cm. 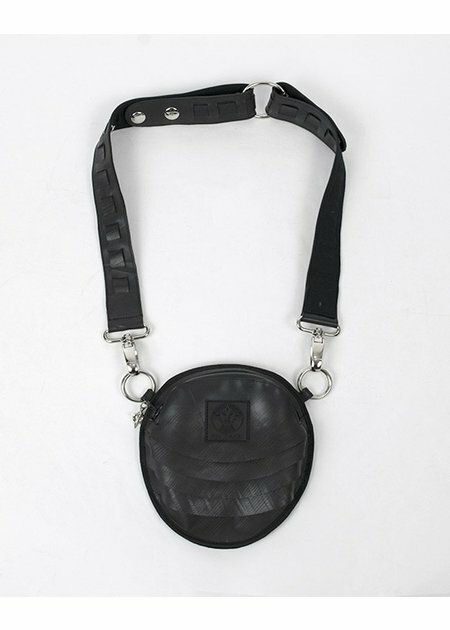 Each piece is made of 100% recycled rubber and therefor the texture may appear slightly different from the picture.